Stay Cool this Summer — For Less! | West Coast Solar, Inc.
Stay Cool this Summer — For Less! Summer’s officially here and although temperatures were already high before June 21st, now they’re only going to continue climbing. While that can translate to some quality time outdoors, it also means that indoors your air conditioner is running at full blast. What does that mean for your monthly energy bills? Here in the greater Sacramento and San Francisco Bay Area, although there are distinct winter and summer seasons, the majority of the year is fairly mild. This means that the summer months require energy use far beyond what’s normal during the rest of the year due to air conditioning. Unfortunately, this also means significantly higher bills during a time of year when you’re most looking forward to some savings so you can get away or spend some quality time with friends and family. With all the sunshine we’re already seeing this summer, why wouldn’t you want to take advantage of it? The sun’s energy is renewable, so not only will you be making a significant impact on your bills but you’ll also be helping to reduce your carbon footprint. With advancements in technology, the 30% federal tax credit and various forms of financing including PACE, it’s more affordable than ever to install a home solar PV system. 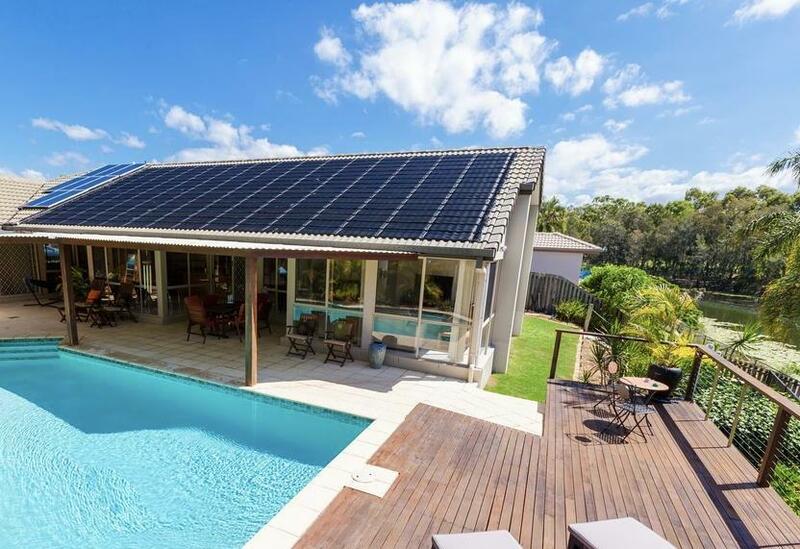 How Much Can Solar Panels Save? Based on a recent study conducted by the NC Clean Energy Technology Center, the average home in San Francisco can save $187 per month by switching to solar. By factoring in the average electricity rate and a standard 5kW solar system, a typical household in California can expect to see savings of over $28,000 over the course of 20 years! And since most manufacturers offer warranties up to 25 years, your system will be powering your home for at least as long, further increasing your savings. Our expert team at West Coast Solar will be able to provide you with a more accurate savings estimate for your home during an in-home, no-cost consultation. Not only will we look at your home’s viability for solar, but we’ll also analyze your current energy bills to determine what size system you would need and just how much you could save. Imagine just how much you could benefit from reduced electricity bills and increased savings, not just this summer but year-round! Stay cool while saving money and the environment. Learn more by scheduling your no-cost, no-pressure solar consultation today — call (844) 492-7652 or contact us.